﻿ Close to the Mid Wales Bunkhouse, Tipi and Camping, Gilfach Nature Reserve. 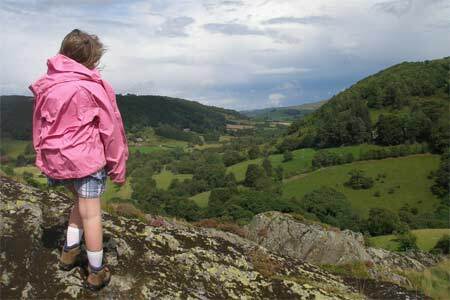 Right on our doorstep, the stunning Gilfach Nature Reserve. Slightly further down the River Marteg than St. Harmon and Pant Y Dwr the valley takes on a very different form, being much steeper and narrower. This has, surely, to be one of the most beautiful and unspoilt places in Wales, and pictures cannot ever do it justice. You can get to know nature here, or just enjoy yourselves with a picnic by the river. You can also walk a length of the former Mid Wales railway line and learn a little about its history. 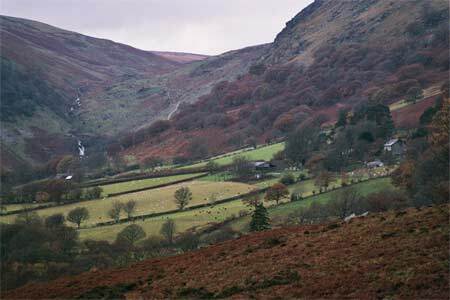 The 400 acre Gilfach farm is owned and managed by the Radnorshire Wildlife Trust, and has been farmed traditionally for hundreds of years. Otters are regularly seen here and around November time Salmon can be seen in the river and jumping at the waterfall on their return to their spawning grounds. 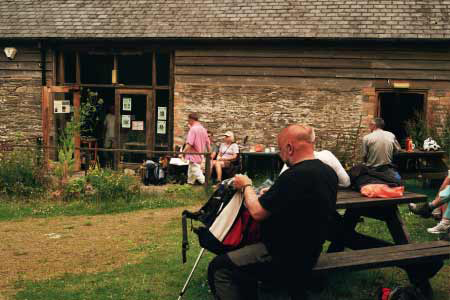 The wildlife trust runs a Nature Discovery Centre situated in the old farmyard buildings, which is generally open during the summer, where you can learn about the reserve. Ample parking is available at the lower end of the reserve where it meets the A470 at Marteg Bridge, although if staying at the Mid Wales Bunkhouse, Tipi and Camping, we would encourage you to leave the car behind and walk or cycle and enjoy the scenery on the way too.